I spent the entire day yesterday from 7AM (so, it wouldn’t be too late for our Australian speaker, Cameron Pegg – 9PM there) to 4:30PM watching all the sessions scheduled for the conference on April 20. 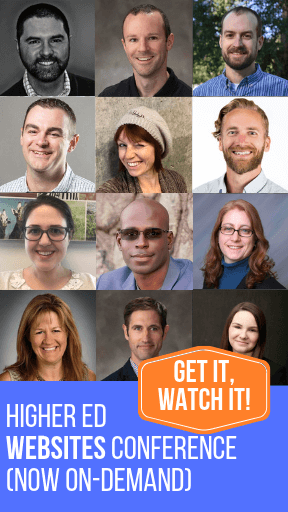 We’re going to have another great edition with many, many practical learning outcomes but a common goal: to help you get your team inspired and fired up about content before the summer – and the kick off of your big projects usually scheduled at that time of the year. It’s a rare opportunity to get everybody on your team in a room to learn from other higher ed professionals as Amy Grace Wells (one of the speakers) explained in this tweet about the conference a few days ago. So, what will you see at the conference? 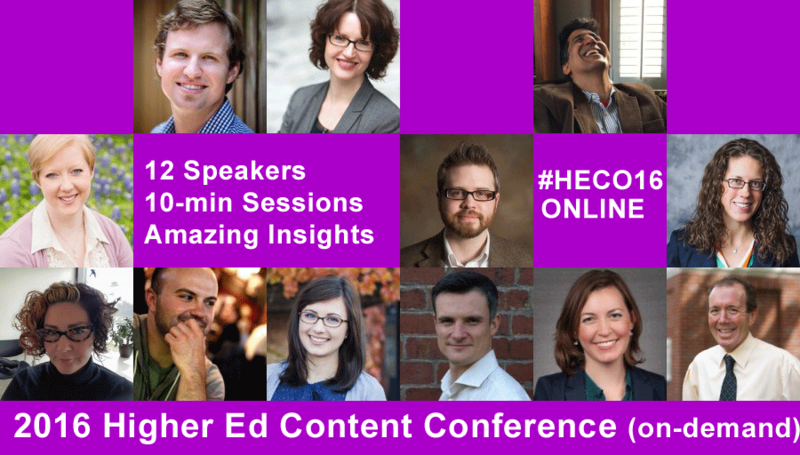 Check out this Storify to get an idea of the topics we will covered at 2016 Higher Ed Content Conference. Register your team as soon as possible to secure your seat for the 2016 Higher Ed Content Conference. There are only a few seats left, so the conference should sell out soon – as it does every year.